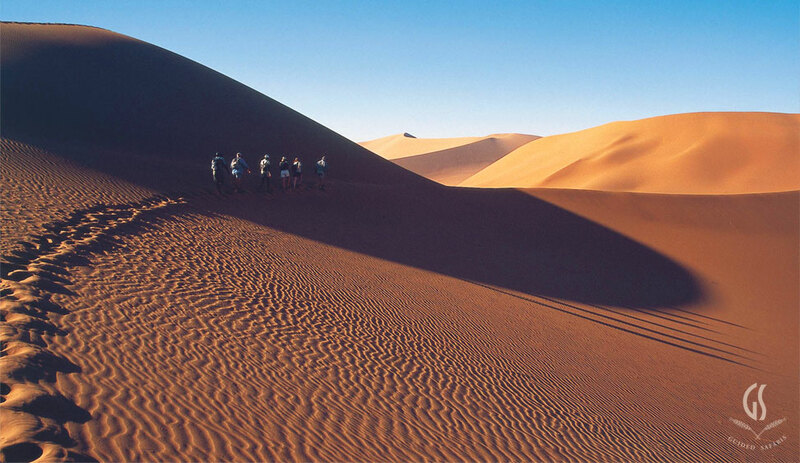 Experience the haunting beauty of the Namib Desert in the dunes of Sossusvlei. Known as ‘The Living Desert’ – a world of vast space, endless horizons, dramatic desert-scapes and jagged mountain heights. Led by Guided Safaris® expert rangers and naturalists, explore this unique desert by quad, open 4x4 cruisers – and even, floating silently above by hot-air balloon. Excursions to the famous Sossusvlei dunes, the highest in the world, and even deeper along the wild Skeleton Coast to meet the ancient Himba people, adds to this unforgettable desert safari experience. The land God created in anger; the oldest desert on the planet and a sea of red sand along the Atlantic coastline. Blue skies, sun-drenched weather and star-filled nights. Different from other African regions, the unique grandeur of Namibia is the quietly captivating beauty of its scenery, changing from expansive plains to billowing waves of dunes, jagged canyons with towering volcanic rock and faraway sierra. Scenic drives on 4x4s offer encounters with a variety of desert-adapted species such as gemsbok, zebra, springbok, bat-eared fox, aardwolf, caracal and jackal. 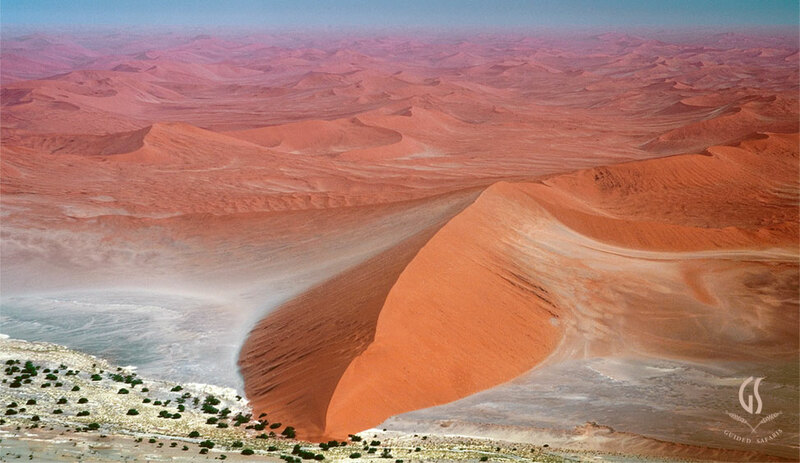 Excursions to the highest dunes in the world at Sossusvlei provides photographers with a plethora of visual inspiration. At the end of the day a deep blanket of stars is sole illumination on the desert sky, opening to astronomy evening with our guides. The most exclusive desert adventure. Enjoy luxurious villas in the desert. 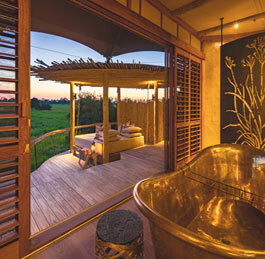 Dazzling luxury safari lodges feature prominently in each Guided Safaris® journey through Namibia. Award-winning eco-luxury concepts offer surreal architectural marvels with wrap-around views, situated in private concessions, away from the crowds. Enjoy gourmet contemporary cuisine and fine vintages our wine cellars - all included with our safaris. The MOST private desert safari experience on earth. 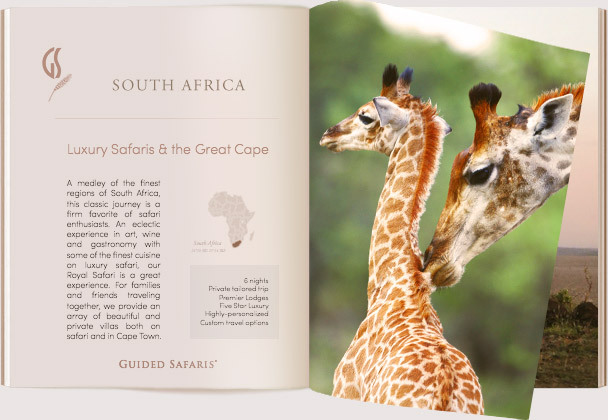 Private 67,000-acres near the Sossusvlei and the most remote and exclusive locations along the Skeleton Coast. No crowds, only incredible adventures. 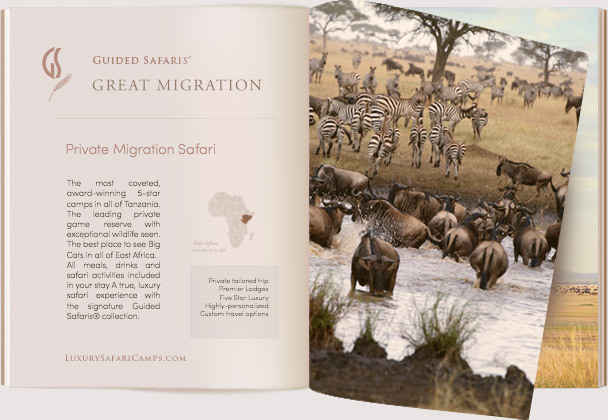 Highly-experienced professional guides to lead your safari. 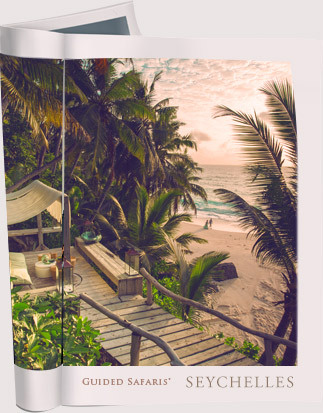 Enjoy absolute privacy, away from it all. All the splendor and solitude of the Namib, this is the only way to experience the stark beauty of this unforgettable landscape. 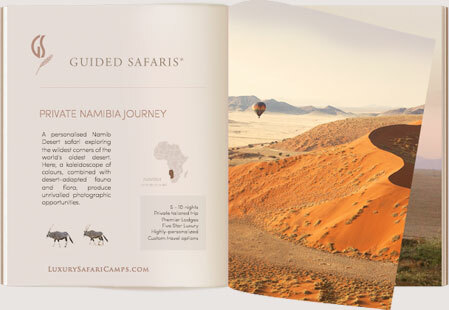 Guided Safaris® journeys enter the dunes to Sossusvlei through a private gateway exclusive to our guests. Embark on eco-sensitive quadbiking and guided treks through the timeless and fragile desert setting, going further afield into the Dead Vlei. Birders can revel in endemic sightings of the rare Dune Lark, and for the intrepid explorers we offer night walks under florescent light to seek out scorpions and nocturnal residents of the Namib. Walk along the aeons-old Sesriem Canyon; a geographical formation carved over millions of years by water flow. Immerse yourself in the ancient culture of the Himba and learn their traditions. Unrivalled photography opportunities await in the world-famous Skeleton Coast with its haunting remains of shipwrecks and colonies of Cape fur seals. There is a purpose that drives everything we do – a passion for the natural world and wildlife, and an urgent need to conserve some of the most remote and pristine places on Earth. Intensive research on the Desert lions of Namibia has been ongoing by scientist Dr Philip Stander. Over the course of 20 years, we have gained extensive knowledge on the survival of these rare Desert lions, leading to better conservation strategies for the Desert lions,which form a most valuable asset for the country. Private 67,000-acres of desert wilderness all to yourself. Fly from Windhoek to our private airstrip and enter a rare desert retreat with just 11 climate-controlled luxury villas. Take respite in your beautiful private in-suite pool with surrounding dune vistas and freshen up for a safari style dinner. Our unique location offers private access into the Sossusvlei so that come dawn, we are the first to reach the big dunes and have near exclusive reign of the desert wilderness before people and heat set in. By mid morning we’re back at camp for a well-earned lunch. Quadbiking in our private reserve offers an incredible adventure with our expert guides; the nutritious grasslands unique to this area draw specialist plains game with desert predators in pursuit. • In season, we also operate a hot air balloon ride over the spectacular desert - an experience of a lifetime! Explore the isolated Kaokoveld and rare Hoanib setting deep in the heart of Namibia. Our scenic flight over the country brings you to our private luxury camp set in the rugged mountains with only 8 suites. An astonishing world of contrasts awaits on the stark shores of the Skeleton Coast with ancient shipwrecks, seal colonies and endemic birds. The scenery is reminiscent of a Jurassic age. Phenomenal encounters with desert-adapted species bring you close to Elephant, Giraffe, Brown Hyena and the extremely rare Desert Lions of Hoanib, the subject of an award-winning documentary, The Vanishing Kings, filmed on location. A dignified cutural encounter with the ancient Himba tribes. At this point in the journey, those with the luxury of extra time will be in for the rarest treat as we board our scenic flight to the private Marienfluss conservancy, primarily owned by the Himba people - important stakeholders in our community efforts. 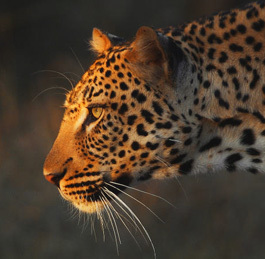 One of the remotest camps in all of Southern Africa, and also one of the most luxurious. The villas and open dining setting all overlook the Kunene River. Our chefs welcome you to camp for tea with delectable cakes, pastries and home-made confectionery. 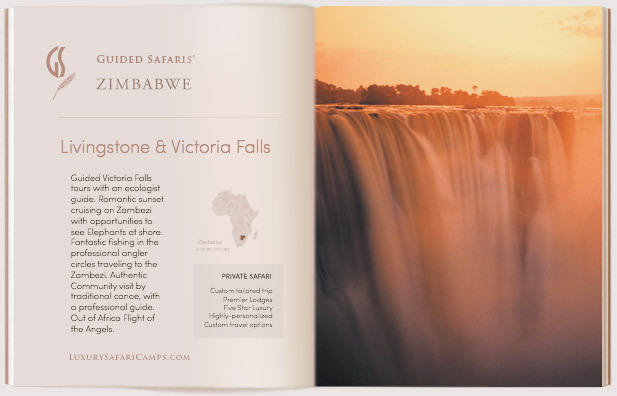 Complete privacy in a spectacular and serene setting, the high-thrill adventures of Hartmann Valley coupled with engaging visits with the Himba make for a unique safari. As the evening draws to a close, the fire on the deck lounge invites guests to gather, serving as a visual reminder of on this critical element to Himba society; fire is not just for cooking and cleansing, but also their Sacred Fire is where milestones are celebrated and a connection with one’s ancestors is maintained. Bid farewell to our family of staff who will help transfer you to the airstrip to board your onward flight plans: Whether heading home, or continuing forward with a Big Game safari at our unique Botswana and Victoria Falls settings, guests leave with a deep sense of connection to nature in this unusual part of the world. We cannot wait to share this adventure with you! 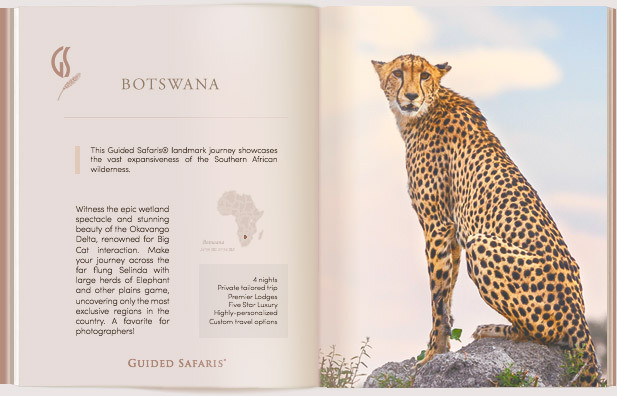 Your Guided Safaris® package includes pretty much everything from start to finish once you arrive in Namibia - including all local flights, transfers, meals, drinks and guided activities. We also have private options for families seeking exclusive accommodations and camp charters. 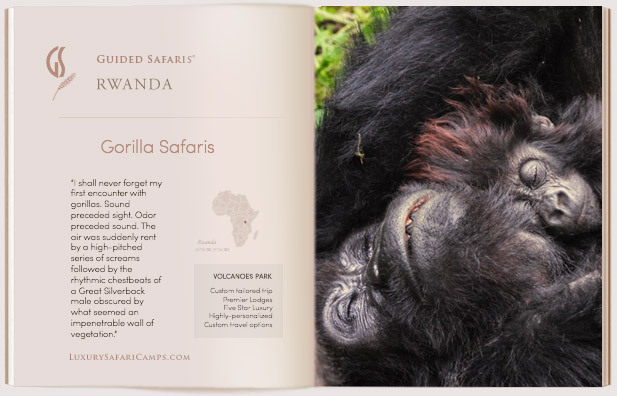 Please contact us to customize your safari.